Engineering Services provides a wide spectrum of engineering, consulting, and analytical services to help and support companies with composite questions and concerns. This refers to the development of a new product, process, or service. These services are developed by an experienced or qualified team of engineers & quality assurance experts. 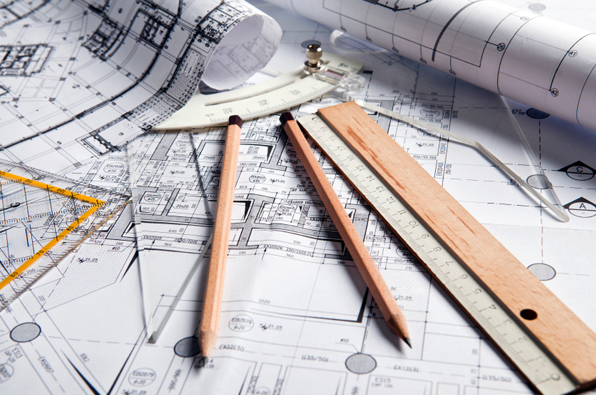 Engineering services vary from planning and designing, feasibility studies, outsourcing, and technical services. The services also include design elements of product or service, infrastructure, and equipment and processes involved in manufacturing, maintaining, or delivering. Some of the important advantages of the services include reducing the over-headed costs labor, immediate access to the team of trained and skilled engineers. According to study, “Global Engineering Services Market Research Report” some of the major companies that are currently working in the global engineering services market are Balfour Beatty,Tata Consulting Services (TCS), IBM Corporation, Accenture Plc., Infosys, HCL Technologies, AVL Tech, Wipro Ltd., Aricent, Hochtief Aktiengesellschaft, AKKA Technologies, Happiest Minds Technologies, Kiewit Corporation, Worley Parsons, Altran, AECOM, Tech Mahindra, ALTEN Group, Fluor, Capgemini, Bechtel, Infosys, Cognizant, SNC-Lavalin, Rapid Value, Jacobs, Laing O’ Rourke, EInfochips, ACS Group. All these companies handle planning, supervision, and designing of construction related to a broad range of industries. Based on the type, the global engineering services market is segmented into environmental engineering services, civil engineering services, mechanical engineering services, construction engineering services, and other engineering services. Based on the product type, the market is segmented into hardware engineering, software engineering, and process engineering etc. Software engineering comprises designing & writing programs for computer applications. Process engineering includes knowledge-based engineering (KBE) and manufacturing engineering support. Based on the end-user, the market is divided into automotive, industrial manufacturing, healthcare sector, aerospace, telecommunications, information technology, energy & utilities, and others. The engineering services are mainly driven by the growing deployment of engineering services, followed by rising manufacturing automation & cost savings from, growing demand for the demand deliverance and the services followed by the rising technological advancements and the innovations. However, some of the major challenges associated include the domain expertise among workers or corporations, lack of end-to-end quality & process control, poor regulatory support and poor infrastructure development. Moreover, new trends associated with the collaborative co-innovation partnership with outsourcing firms, growing adoption of artificial intelligence, growing captive operations in the emerging countries and increase in the digital transformation among the organizations. Asia-Pacific holds the major market share in the overall revenue the key factors driving the market in the region include cheap labor, strict government regulations, skilled talent pool and cost arbitrage in the developing nations like India, Malaysia, Vietnam, and the Philippines. Moreover, European region and North American region are likely to show higher growth rate or CAGR but less in comparison to Asia-Pacific over the predicted period 2018-2025, which is primarily due to enhancing demand of the engineering services.